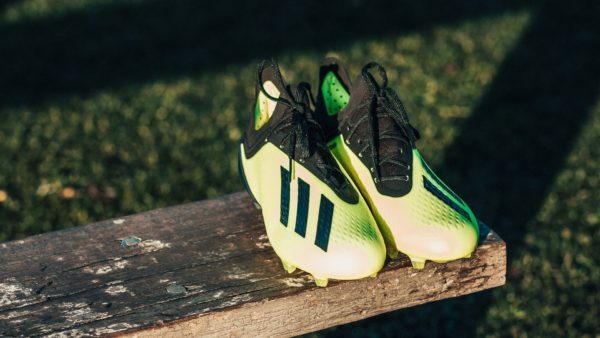 The dream boot made for serial goalscorers. I remember the day I found out that the T90 Laser series was getting replaced by a weird black and orange boot with 3 heel studs and no strike zones (a feature synonymous with the Laser series). Truth be told, the Laser series had been plagued by poor sales for some time and Nike were looking to shake things up. And shake things up they did. The Nike Marketing Machine was in full flow, plastering one Neymar da Silva Santos Júnior‘s face over advertisement spaces everywhere screaming ‘AGILITY’. Never mind the fact that no one could understand how different ‘agility’ was to the Mercurial Vapor’s ‘Speed’, the then 21 year old Neymar was seen by many as the heir to Cristiano Ronaldo’s place as Nike’s main marketing attraction and the next Ballon D’or Winner after the Messi/Ronaldo dominance had ended. The boot was radically different, with a sleek, streamlined but generous forefoot, focusing on the idea of Fit, Touch & Traction. The ‘NikeSkin’ upper was made up of 2 parts – mesh and layers of polyurethane. This translated to a super soft and flexible upper that moved with every bend of your foot. There was also a split-toe design that allowed the player’s first metatarsal to activate first, making you more ‘agile’ (at least on paper). That combined with its slightly waxy finish made it a ridiculously comfortable boot that was a dream to shoot in. 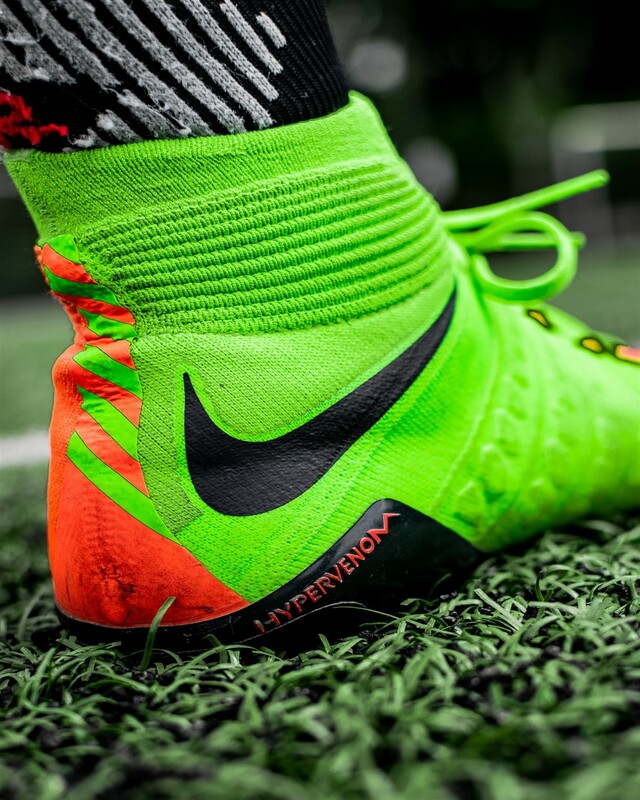 The Hypervenom Phantom 1 is a modern classic. Unfortunately, its successor, the Hypervenom Phantom 2, moved too far in the other direction. Flywire cables were added to combat overstretching, while the upper tweaked to combat durability issues (my AG-R pair ripped after just 4 sessions) that people had with the Hypervenom 1. However, Nike overcompensated and the new upper was so stiff that it bore little resemblance to its excellent predecessor. 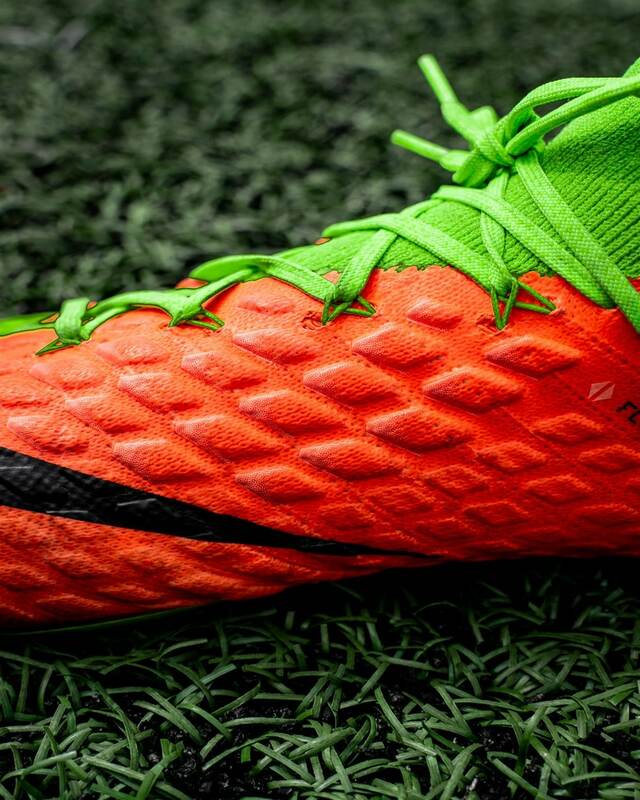 The second generation Hypervenom Phantom did not live up to its predecessor. Noting the problems faced when trying to deliver a boot that was barefoot-like, comfortable and generous in fit, Nike turned to what they knew worked – Flyknit. The Nike Hypervenom Phantom 3 is brilliant. The boot is absolutely true-to-size, with a comfortably wide (between D to E) toebox that will fit most people. The Flyknit upper gives you an extremely sock-like fit, although I’d still recommend a training session before bringing them to a match proper, just to allow the silicone NikeSkin coating sometime to properly mould to your feet. Both the high-cut and low-cut Hypervenom Phantom 3s come equipped with flyknit uppers and the choice between both boots comes down to personal preference. I make my decision with consideration to my role on the pitch. 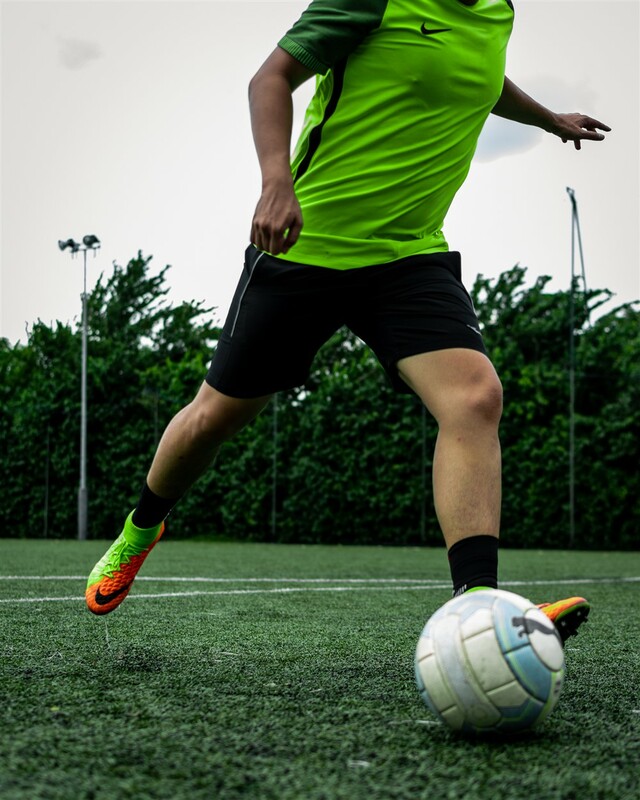 If I’m playing a more central role, I do gravitate to the high cut boots for that extra ‘security’ around the ankle when striking through the ball. If I’m playing on the flanks, my ankles do enjoy the freedom for quick twists and pivots. 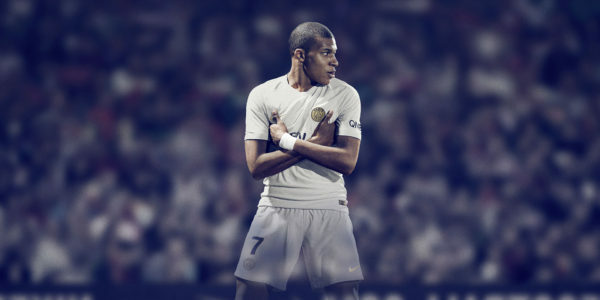 As someone who plays exclusively on AG, having the collar keep out those pesky rubber pellets is also a plus although not bringing back the asymmetrical heel construction, which was the only positive of the Hypervenom Phantom 2s, was strange. The collar has gone through a minor evolution, morphing into an asymmetrical shape which is lower on the outside of your ankle. The knit has also been tailored to give more stretch in the ridged areas to allow for more flexibility when your ankle pivots. While my favourite collar is the Nike Magista Obra 2’s, I’m okay with the collar on the Hypervenom Phantom 3 because it doesn’t feel too in the way, although the asymmetry makes it difficult to grip both sides of the collar while wearing the boot. Flyknit has come a long way since we first saw it on the OG Magistas back in 2014. Apart from the strike zone, the upper is mostly covered with hollow pods.The concept of the hollow pods are taken from the Magista 2s, which featured ‘raised bumps’ in the upper to dampen pressure from the ball to improve touch. Unfortunately, it’s effect on my play and touch was minimal and I did not feel like Andres Iniesta at all. The strike-zone is where the magic happens. The pods in that area contain a low-rate rebound foam (poron), which instantly hardens on impact. It takes the sting off when you’re striking the ball. 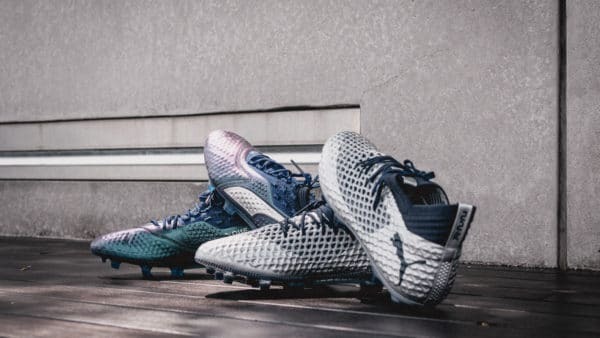 You’re forgiven for thinking that this sounds pretty familiar – the Puma Evopower series was also famed for using Accufoam pods to give you more ‘oomph’ when striking the ball. While they won’t turn you into Steven Gerrard, you do get that extra confidence to strike the ball. The strike zone also acts as a subtle reminder on the correct part of the foot to strike the ball with for maximum ‘ping’. Honestly though, I never found them to really add that much power when shooting at goal because I usually shoot with my laces or side foot with the instep so the strike zone never comes into play. But when it comes to cross field passes, these give you the absolute confidence to just ping those switches in play. An interesting point to note is that of recent years, there’s been a slight shift to favouring a thinner material for striking the ball, because lesser material between your foot and the ball would also mean lesser energy lost during that transmission. Indeed, I’ve heard people rate the Nike Mercurial series as one of their favourite boots to shoot in because of that raw one-to-one sensation they get while striking the ball. I’m not one of them and I prefer the sensation I get in the Hypervenom Phantom 3. Having said that, the Poron pods feel absolutely natural when juggling or controlling the ball, so if you were hoping for CTR Maestri 1 and 2’s heavier levels of dampening from the foam, you’re not going to find them here. 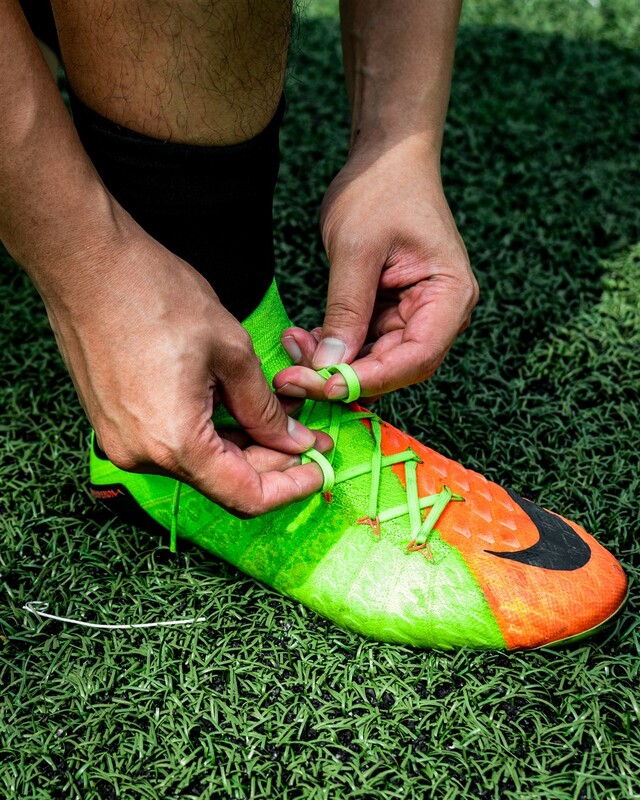 The incorporation of Flywire has always been a welcome addition to Nike’s boots. It assists the laces in locking down your mid-foot, hugging your feet without too much constriction. The Flywire cables also extend as lace-loops. This has led to durability concerns in the case where another player’s stud gets caught in it when clashing in a tackle. Fortunately for me that’s not happened and the chances of it happening are slim. Nike has also made two ninja updates to the upper since they launched – both to the upper. The first was to make the hollow pods visually more pronounced, starting with the 2017 Motion Blur pack. If I’m to be honest, though, it doesn’t really change how the touch on the ball feels on feet.. The next update came with the 2018 World Cup Just Do It pack, changing up the NikeSkin coating into something a little stiffer, presumably to increase durability. While the new upper feels slightly stiffer, it doesn’t feel that much different from the NikeSkin upper after some breaking-in, putting to bed those Hypervenom 2 nightmares. Nike’s gone a lot more aggressive with their FG soleplates. Gone are the days of conical studs that could be more or less called an FG/AG soleplate. 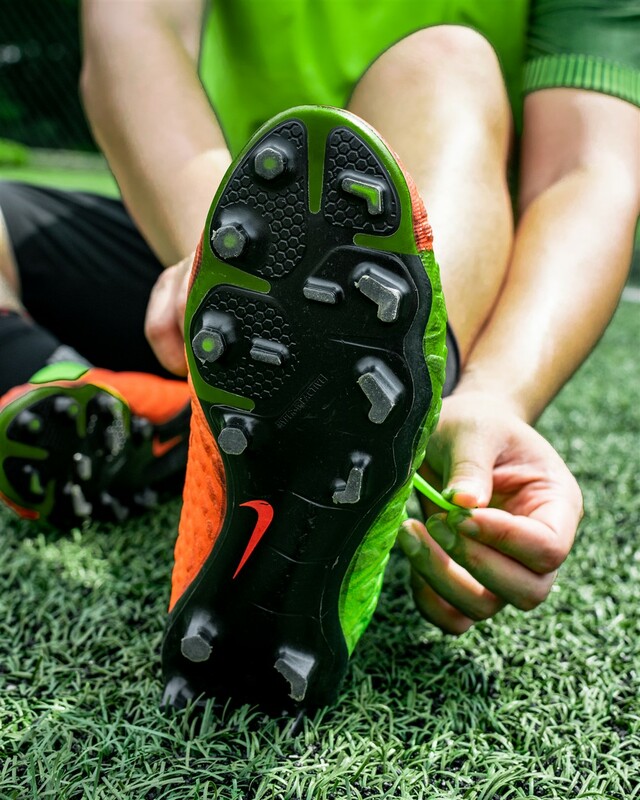 Even the Tiempo silo, that focuses on touch, has bladed studs to give you that extra bite when pushing off. The Hypervenom Phantom 3 sees the addition of chevron bladed studs on the outside of the boot to help with acceleration and braking while the hexagonal studs on the inside allow for easy penetration and rotation. I did enjoy the extra bite from the chevron studs when accelerating on natural surfaces but they feel a little too grippy on AG, especially on lower quality surfaces. To compensate, I pulled out an old trick I learned from Chinese football boot forums, getting my local cobbler to grind down the studs by 2mm and had no problems after. Another benefit of Nike’s new Hyper-Reactive soleplate that wasn’t advertised is its ability to bend the forefoot both ways, while having a very stiff midfoot – another similarity to the Puma EVOPower series, which Puma claimed back then to give you a more natural barefoot strike. After the trainwreck that was the Hypervenom Phantom 2, the Hypervenom Phantom 3 is a clear return to form. 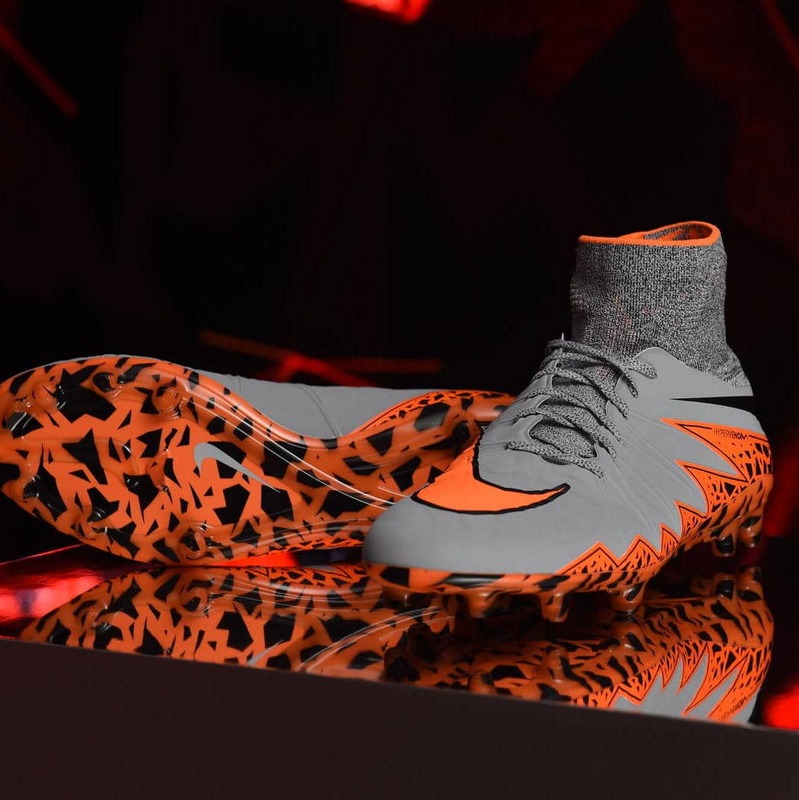 Nike has combined the concepts of both the Hypervenom Phantom 1 (fit, touch, traction) as well as the T90 Laser (striking the ball) series into a brilliantly comfortable boot that fits everyone one the pitch. The Nike Hypervenom Phantom 3 has a nice flexible soleplate with good grip and a comfortable barefootlike upper that’s brilliant to ping the ball with. Before the Nike PhantomVSN came along, I’d have no problems rating this as Nike’s best boot that ticks every box out there and even now, they’re my go-to pair of boots. With the rumours of the series getting a revamp soon, I recommend trying them before they’re phased out for good. A solid do-it-all boot that showcases all of Nike’s Innovations working in harmony, equipped with a massive strike-zone that is a dream to ping balls with.